Coinbase is exploring the creation of a crypto exchange-traded fund (ETF) with the help from $6 trillion asset manager, BlackRock. The ETF would allow institutional – not retail – investors to gain access to the crypto markets via the stock exchange. Now nothing is confirmed yet as both firms are still “exploring.” But here we have arguably the most well-known and well-respected crypto company in the world teaming up with the largest fund manager in the world. An ETF will eventually happen. And these are the perfect guys for the job. In this must read, Chief Strategy Officer of CoinShares, Meltem Demirors provides us with her latest presentation slides on greed, investor psychology, shitcoins, and market cannibalization. 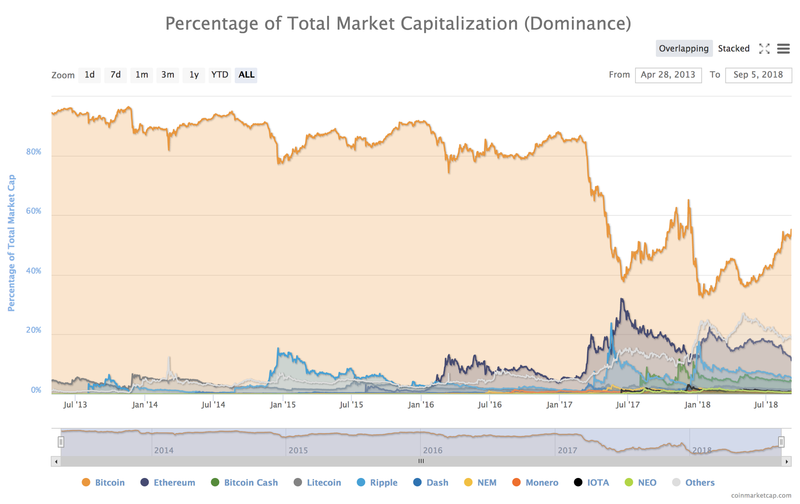 She explains (spark notes here) what caused the ICO rally of 2018 and what drives both the sell side (ICO issuers) and the buy side (ICO purchasers) to continue in irrational and destructive behavior (hint: a lot of greed). The self-proclaimed, world’s first, regulated stablecoin has just been revealed. The Gemini dollar (GUSD) aims to become what the controversial Tether (USDT) has not – a “trusted and regulated digital representation” of the U.S. dollar. 💥 It’s about time we gave the Winklevoss twins some credit for constantly bringing something new to the table. Every week, so it seems, they’ve got something to announce. In another “world’s first” story from this week, Citigroup Inc. has introduced large Wall Street investors a less risky way of investing in the fledgling asset class by issuing so-called Digital Asset Receipts (DARs)… and it may be a game-changer. Crypto seems poised to create more disruption and wealth creation in the next 20 years than the internet has in the last 20 claims Lou Kerner of CryptoOracle. As a VC, he asks the question of who is going to capture that massive wealth creation. Will it go to the largest tech firms in the last five years, or the underdog crypto natives? In this post, Nic Carter unveils the interplay between rankings sites (ex. 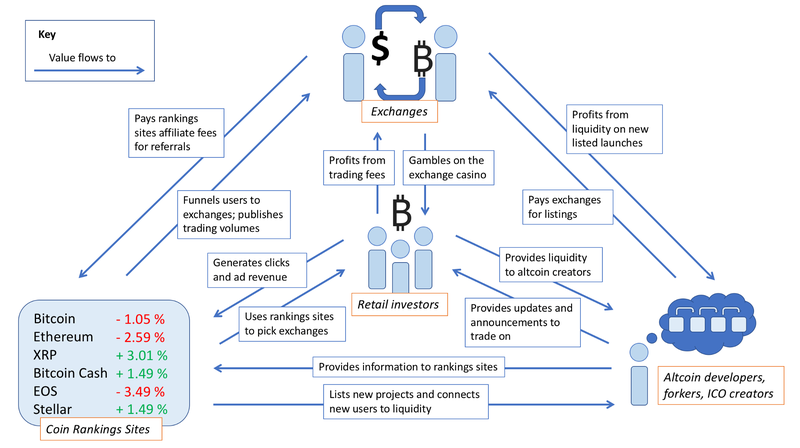 CoinMarketCap), exchanges, and token issuers and how they are mutually working together to extract value from one group: retail investors. A cabal? A conspiracy theory? Nonetheless, it’s worth being aware of the eye-opening situation. This didn’t sit well with Binance CEO Changpeng Zhao. Zhao tweeted why he disagreed, which most likely prompted Vitalik last night to clarify his statements. Don’t be fooled folks. This wasn’t the first time prices have reacted to another media blunder, and it won’t be the last. There’s a lot going on in the world of bitcoin and keeping up with it all can often be difficult. Thankfully, we sometimes stumble across hidden gems like this essay aiming to offer market participants a one stop shop regarding the current state of bitcoin. It covers everything from valuation, technology, regulation and the different ways of gaining exposure to the evolving asset class. In case you didn’t hear above, this is your LAST chance to win $100 of BTC via the CoinSnacks Summer Giveaway. Be sure to get your submission in by midnight September 14th. The winner will be announced on October 1st. We’ve been waiting for Initial Coin Offerings (ICOs) to come under the US regulatory lens a bit more… and now they have. Yesterday, for the first time a United States District Judge ruled that securities laws could apply to ICOs. The Case: In the first criminal case of its kind, federal judge Raymond Dearie in Brooklyn, NY, refused to dismiss a man charged with promoting “digital currencies” backed by investments in real estate & diamonds that prosecutors said were all smoke and mirrors. The Takeaway: Federal prosecutors won a key legal victory in the fight against ICO scams. Although it looks like the case will now go to trial, the interesting tidbit is that the judge defined the two cryptocurrencies used to defraud investors as ‘securities’ (Remember: the SEC has only exempted bitcoin and Ether as securities). The question now is… which cryptocurrencies are going to get hit first? Have we reached the point of extreme revulsion towards (ETH) yet? Looking at the ETH/BTC chart, if the channel boundary holds, we could see a bounce at around 0.025 BTC. Of course, ETH could go to zero, so be careful out there. But it’s certainly a cheap buy right now though… and could get cheaper. But we expect a significant bounce sometime soon. The Federal Reserve of St. Louis’ excellent paper on payment systems and privacy.